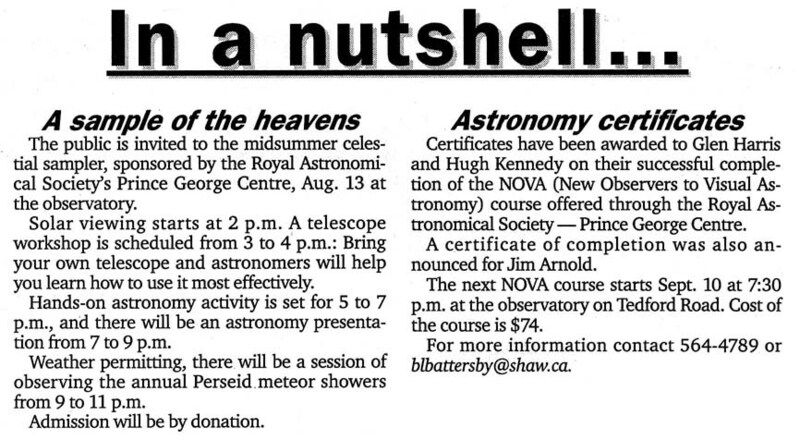 Overview: Announcing the Midsummer Celestial Sampler astronomy day at the PGAO. The event will kick off the fall 2005 observing season. Also, an article announcing the first Explore the Universe Certificates awarded through the NOVA program and the start date of the next NOVA course. This entry was posted in 2005, Newspaper Articles on June 8, 2005 by glen_h.